Arthritis in dog joints can make your canine companion just as miserable as it would in any person. 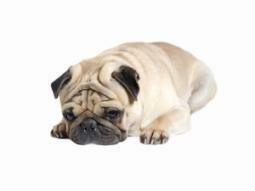 Learn more about this degenerative disease and what you can do to ease your pet's discomfort. Arthritis is a painful degenerative condition of the joint tissue that can severely hamper your dog's mobility. Whatever the cause in a particular case, the resulting abnormality in the joint structure causes excessive wear and tear on the cartilage that lines the sockets. When the cartilage is no longer able to replace itself as quickly as it is worn away, the bone beneath becomes exposed to bone friction. This leads to painful swelling and inflammation that eventually thickens the connective tissues. In turn, the thickening causes them to lose their elasticity.As the condition progresses, the joints become quite stiff and are further hampered by the development of calcium deposits that cause even more discomfort to your dog, leading him to curtail his usual activities. This becomes a downward cycle, because inactive dogs tend to gain weight, thus putting even more stress on already compromised joints. More pain equals even less mobility, and this may result in further weight gain. 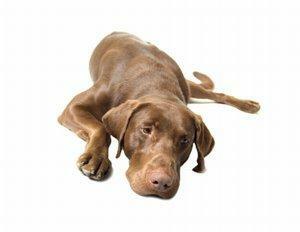 Canine dysplasia is a prime cause of arthritis in dog hip and elbow joints. This congenital disorder is the result of a malformation and/or misalignment of the ball and socket structure. The malformation puts undue stress on the affected joints, resulting in an increased amount of pain as the conditions progresses. As part of their survival skills, dogs normally hide many symptoms of discomfort in the early stages of pain or illness, so it's not always easy to notice if your pet is developing a problem. Reluctance to perform previously usual activities such as climbing stairs, jumping on furniture, etc. Treating arthritis in dog joints is best accomplished using a multi-pronged approach, but your veterinarian is the most qualified person to decide your pet's course of treatment. He/She should always be consulted before giving your dog any medications or supplements. You can begin helping your dog by offering extra protection for his joints. Providing comfortable bedding will ease joint strain caused by lying directly on the floor. Orthopedic dog beds are filled with a high density foam insert that does not pack down the way ordinary fiber fill does; so these beds offer more cushion for your pet's weight. In addition to the superior filling, many of these beds also contain heat and massage features that might also be beneficial for your dog's condition. Canine obesity contributes to joint stress, but you can address this problem at home by following your vet's recommendations for a healthy weight loss program. Many owners notice a marked improvement in their dog's mobility once excess pounds are shed. At the same time weight issues are addressed, certain nutritional supplements known as nutriceuticals can also help your dog's body rebuild its joint linings faster; reducing the bone-on-bone scraping that causes painful joint inflammation. Chondroitin sulfate: This supplement re-hydrates cartilage, so it adds extra cushioning to joint tissues. It's especially effective for older dogs experiencing a reduction in their natural chondroitin production. Glucosamine sulfate: Glucosamine provides lubrication for the joints, and also aids shock absorption. Both chondroitin sulfate and glucosamine sulfate are considered food supplements rather than medications. Whether they are administered separately or in combination, they are generally non-toxic when given as directed by your vet. Although nutriceuticals can prove beneficial in the treatment of canine arthritis, their effects are cumulative, so it may take weeks or months before you notice any significant improvement in your dog's pain level and mobility. While diet and nutriceuticals both play a role in the management of dog arthritis, pain relief is usually the first concern for most pet owners. Corticosteroids like dexamethasone and prednisone can be useful in reducing joint swelling and inflammation. However, use of these drugs should be limited because long term usage can actually result in additional joint damage. NSAIDS are a group of pain relievers that can provide immediate relief for your pet's joint pain, but they do nothing to address the actual cause of it. Although they are helpful, they can cause damage to your pet's system if used long term. When all other treatment options have been exhausted, surgical intervention may be required to relieve a dog's pain and restore some measure of mobility. In extreme cases, diseased joints are removed and replaced with artificial joints. Such a procedure is costly, and requires additional physical therapy for recovery. Managing canine arthritis isn't an easy task, but since it's one of the most common canine health disorders vets encounter, chances are many of us will face it eventually. When problems arise, depend on your vet's expertise for the appropriate case management of your dog's condition.